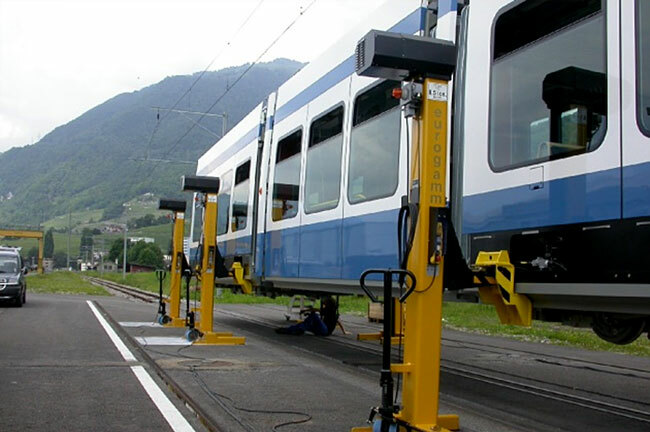 Eurogamma provides products for lifting of complete trainsets, single vehicles or parts of vehicles, such as bogies, with weight up to 200 tons. All lifting is controlled by a microprocessor for synchronized lifting with high accuracy. Eurogamma provides also customized Manipulators for use in maintenance of bogies in an ergonomic and smooth way.